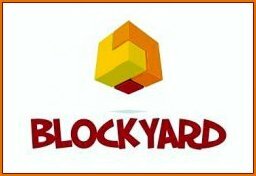 Games Like Blockyard: Let's Start Building '+g+"
Blockyard is a neat, easy to play open world game. It enables you to build whatever you can imagine with blocks, axles, motors, etc. You can design a new world from scratch and amaze yourself as things tend to shape up and form different objects. Check out this list of recommendations for fun and addictive building games like Blockyard below and don't forget to mention if we miss any games as we keep on updating this list. Garry's Mod is a Sandbox Game for the PC and Mac based around the idea of building. Unlike most other games there aren't any objectives - you can't lose and you definitely can't win. Blockland is a non-competitive multiplayer open world sandbox-style construction game in which players build using Lego-like building blocks. Cubelands is a free 3D-online building game made by upjers, enables you to build your very own world by Stacking and removing the cubes directly in your browser. Roblox is an massively multiplayer online game for Kids and teenagers who are able to create their own virtual world, in which they or other online members may enter and socialize within the blocks of varying shapes, sizes, and colors. Ace of spades, ....if you can think of more, then don't forget to mention it in comments.